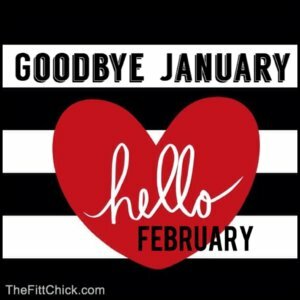 The end of January and the start of a new month seems to bring us all a new energy and we are motivated to set new goals or revisit the goals we may have set just 31 days ago. How many of us set new years resolutions in January with the true intention of sticking with them? Many of us struggle to meet our goals just weeks or months into the process. Real life sets in and our drive dwindles. We are pulled in a million directions with endless responsibilities and only 24 hours in a day. While we are feeling the pressure of life’s demands, we are faced with a decision. Do we give up, modify, or push through with new goals? Check out TheFittChick programs if you are ready to EAT MORE & WEIGH LESS!